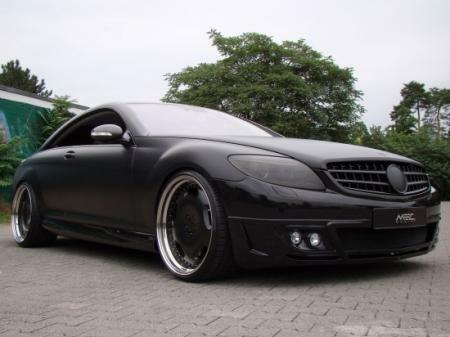 Mercedes-Benz CL body kit is the latest creation of the European tuners – MEC Design. The new CL kit features the brand’s 2Face system which allows 2 completely different looks. 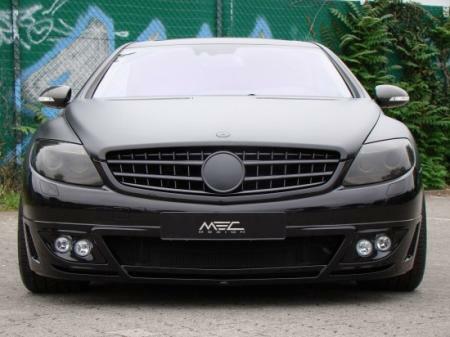 The MEC Mercedes-Benz CL body kit is consist of a front bumper with fog and driving lights (cool mesh version available), a sporty looking extreme rear bumper with diffuser (elegant version available), side skirts with five LED lights which are linked to the internal lighting and switches on when the door is open, and a three piece curved spoiler that finishes off the trunklid nicely. For such a beautiful car the specialists at MEC Design didn’t miss the special huge rims and the lowering module. The MEC Mercedes-Benz CL alloy wheels are the MEC Design 22” mecxtremeI. They are a three piece wheel with a forged centre piece that is high gloss compressed and has stainless steel outer rims. The front alloys are wrapped in 10.5×22 with 285 tires and the rear has 11.5 x 22 with 295 tires. The mounted lowering module is the MEC Design ELS which allows a special measure of between 40-70mm lowering. The MEC Design ELS allows also later justification and it is available with arbitrary vehicle dynamics which raises the vehicle when travelling at 80km/h to 10mm. It is time for the MEC Design specialty, the Mercedes Benz CL is equipped with the mandrel-bent stainless steel tubing manufactured exhausts with a stainless steel resonator and muffler. The MEC exhausts produces sounds which reminds for earthquakes and apocalypse. The interior doesn’t miss out either as MEC Design’s talents extend to the inside. The multifunctional steering wheel with its distinctive ergonomically designed handles, precious wood inlay and leather make it a pleasure to grip. The floor mats are made from precious velours. They have Nubuck leather embroidered edging and feature the MEC Design logo.